Join us after kiddush as we discuss The Extra (ניצבת), A. B. Yehoshua’s novel of ideas whose themes include the title character’s decision to not have children, eldercare, housing and real estate, relations between Haredi and secular Israelis, cinema, theater, and classical music. BPL has 9 English print copies and an ebook. “In The Extra, award-winning Israeli novelist A. B. Yehoshua movingly portrays a woman’s struggle for independence amid familial expectations and obligations. Torn from her idyllic, secular life as a harpist in the Netherlands, Noga is summoned to Jerusalem to maintain her childhood home. There she clashes with her brother about pressuring their mother into assisted living. While in Israel, Noga also reflects on growing up surrounded by an insular Orthodox community, and on her conversations with her neighbors about her more secular practices. Particularly challenging is seeing the man who divorced her when she refused to have children—and who, though remarried, still loves her, and is still bitter about her decision. As she attempts to reconnect with her family and past while retaining her independence, Noga begins to question her previous decisions and revisit her plans for the future. “… Readers who enjoy delving into the intersections of art and literature, or who are interested in the difficulties of controlling one’s trajectory while simultaneously remaining responsive to friends and family, will appreciate the ideas put forth in Yehoshua’s latest piece. 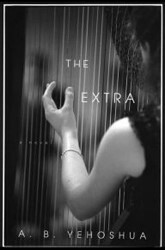 While some may be less gripped by the novel’s loose structure and Noga’s rather assuming conjectures about the motivations and natures of those around her, others may find insights about self-awareness and human relationships in Noga’s experiences as a literal and figurative extra.” — Edyt Dickstein, Jewish Book Council.